Apple MacBook Pro MC374LL/A - review, specification, prices. 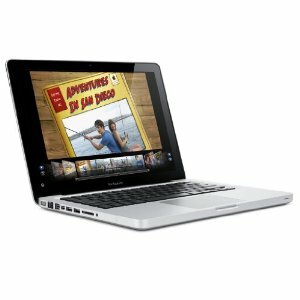 The new Apple MacBook Pro MC374LL/A, offers a plenty of your needs. This macbook carved from single block of alumunium and its patented unibody enclosure is the product of precise machining. This Apple MacBook Pro MC374LL/A features a 13 inch LED display, Intel Core 2 Duo processor and next generation NVIDIA GeForce 320M graphics tha bring a high performance 3D gaming to photos and video.Plus the 10 hours battery life that will gives you a freedom to expand more entertainments because it is nearly three times the lifespan of typical notebook batteries. 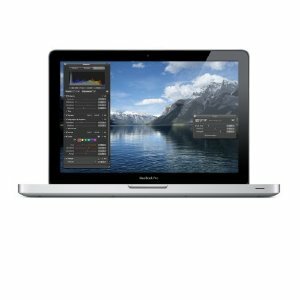 This version Apple MacBook Pro MC374LL/A also features a 2.4 GHz Intel Care 2 Duo processor, 4 GB of installed RAM, and 250 GB of hard drive. And other features of this macbook is Bluetooth connectivity, SD card slot, two USB 2.0 ports, and stay connected with family and friends with Wireless-N Wi-Fi networking. This macbook is also comes with pre installed Mac OS X Snow Leopard operating system as well as iLife software suite, which includes the latest versions of iPhoto, iMovie, and GarageBand. Related Posts to "Apple MacBook Pro MC374LL/A"
5 Comments to "Apple MacBook Pro MC374LL/A"
Please comment to Apple MacBook Pro MC374LL/A - Laptop and notebook reviews Apple MacBook Pro MC374LL/A, review, specification, and price. Please don't spam.